The beautiful villa, location and so close to a wonderful beach . Everything you could possibly need is supplied ! Very nice owner who gave us ideas for tavernàs , city ( Chainia) things to do etc. Wonderful place, spacious and well-kept villa with pool and nice terass with sea and sunset view. Hospitable and serviceminded owner, thank you Vassilis for one more perfect stay! Beautiful and calm village in perferct surroundings and very close to the best beach in Crete. Plenty of nice local restaurants closeby and easy access to numerous activities there and nearby. Pool was super, design of furniture was modern but walls are stone---a nice combo, washing machine, sauna, shaded patio, BBQ grill, great wifi, each of the three bedrooms has a private bathroom---great convenience, only about an hour from most beaches (very winding roads), Vassili was available to help at any time and fixed the one mild problem we had within 15 minutes so we had a real feeling of security. The villa was beautiful; we were treated as family -- there was homemade food on the table for us with a large bowl of fresh fruit and cold bottled water in the fridge. We love to cook and the kitchen was well equipped with spices and included an espresso machine. We loved enjoying the estate's olive oil and spent most of our time outside at, or in the pool. Vasilis walked us through an entire prepared guide from beaches to restaurants. Beyond the villa, the town was wonderful and beaches exceptional. The house is very comfortable, the rooms are perfect size with own bathroom each. The house has all the facilities you need, oven, coffee machine, washing machine, dish washer, sauna and pool. The location is perfect, very quiet and close to nice restaurants. The owner of the house was super friendly with us, the day we arrived he was in the house to welcoming us, and he gave us cake and traditional Greek cheese cake made by his wife. Besides, in the house you have all the basic stuff to cook, species, coffee, sugar and he left us a basket of fruit. Great stayed highly recommended for families, friends, etc. The house is perfect for 6 people. Large and ‘’luxurious’’ Villas with a private pool offering a splendid view on the Gulf of Falasarna where you can enjoy a drink (on the terrace or in the pool) while watching unique sunsets. If you decide to cook, you have all the equipment you need. However, local Super Markets don’t offer a great variety of food. The best option for us has been to go to some local restaurants (mostly taverns) offering traditional cretan value for money meals. The Villa is well located so you can easily visit Elafonissi, Falasarna or Balos beaches. 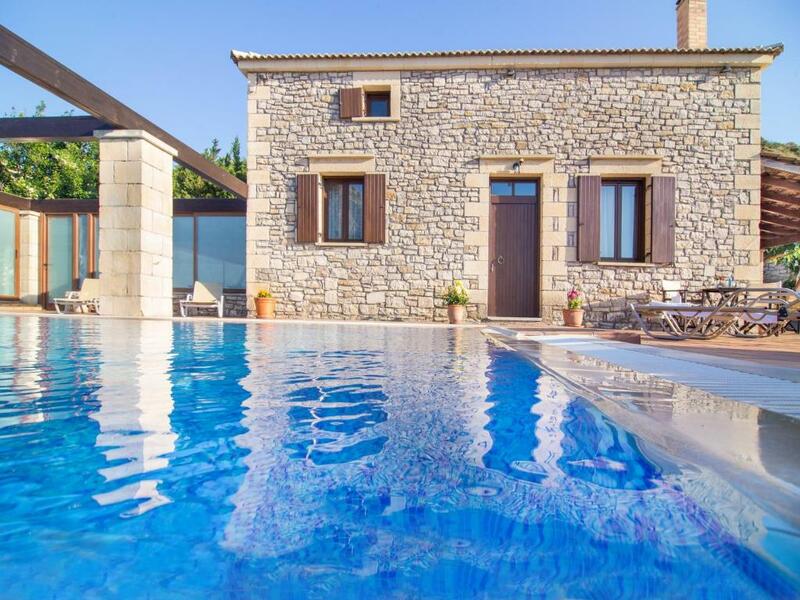 A Villa to be rent without hesitation! 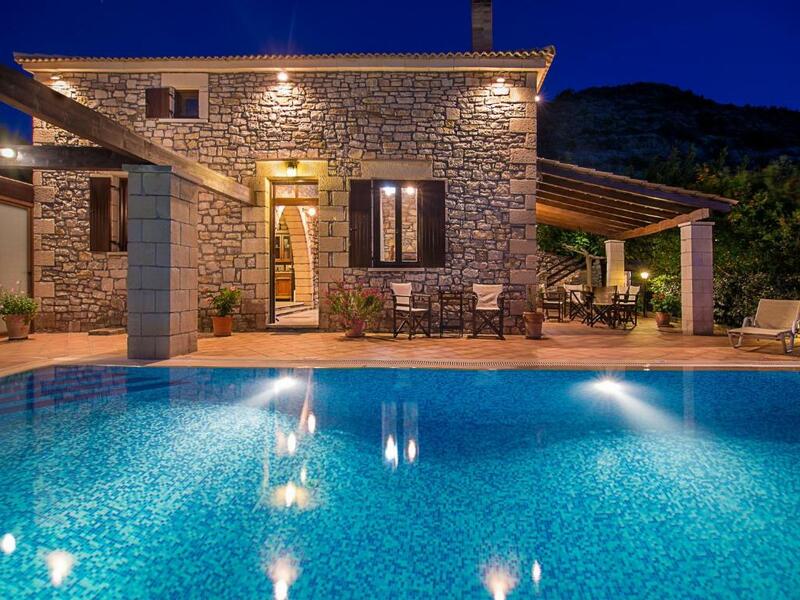 Beautiful house and pool, very private, friendly and hospitable owner Vassilis, great facilities. Wir wurden bei Kaminfeuer und selbstgebackenen Leckereien persönlich vom sehr zuvorkommenden Gastgeber empfangen. Generell wurden wir die Woche über mit Informationen und Aufmerksamkeiten äußerst herzlich und freundlich umsorgt. Die Villa ist in einem Top Zustand und es gibt nichts auszusetzen. Die Lage mit Meerblick, sowohl die Außenanlage sind wunderschön. Wir würden die Falasarna Villas jedem ans Herz legen! Lock in a great price for Falasarna Villas – rated 9.7 by recent guests! 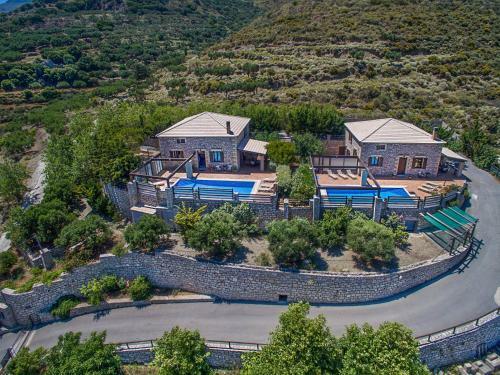 One of our top picks in Plátanos.Located on a lush hill of Platanos in Kissamos area, Falasarna Villas offer panoramic Cretan Sea views, 2.5 mi from the sandy Falasarna Beach. Each 150 m2, self-catered villa features a private pool, fireplace and free WiFi. 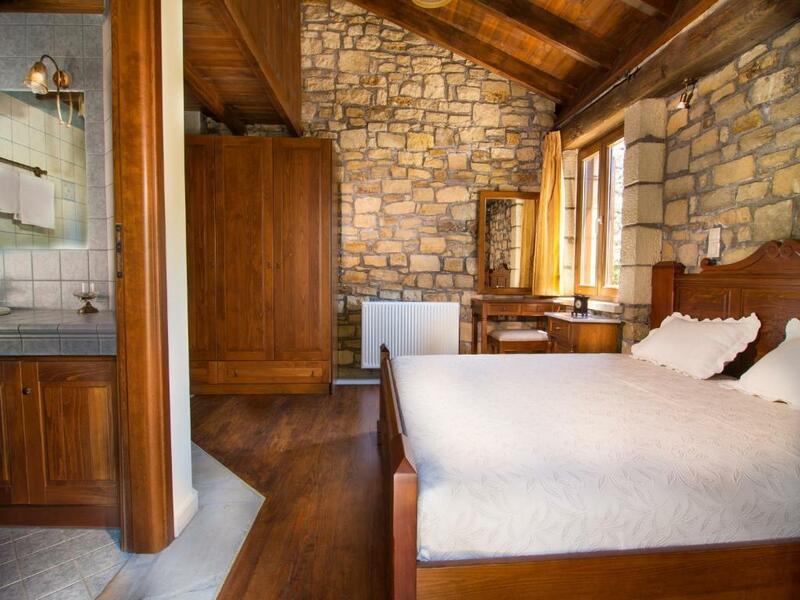 Villas Falasarna are air-conditioned and traditionally decorated with stone details and wooden ceilings. Bedrooms have private bathrooms. The kitchen includes a cooker, fridge and coffee maker. In the living room guests can watch satellite TV and DVDs. 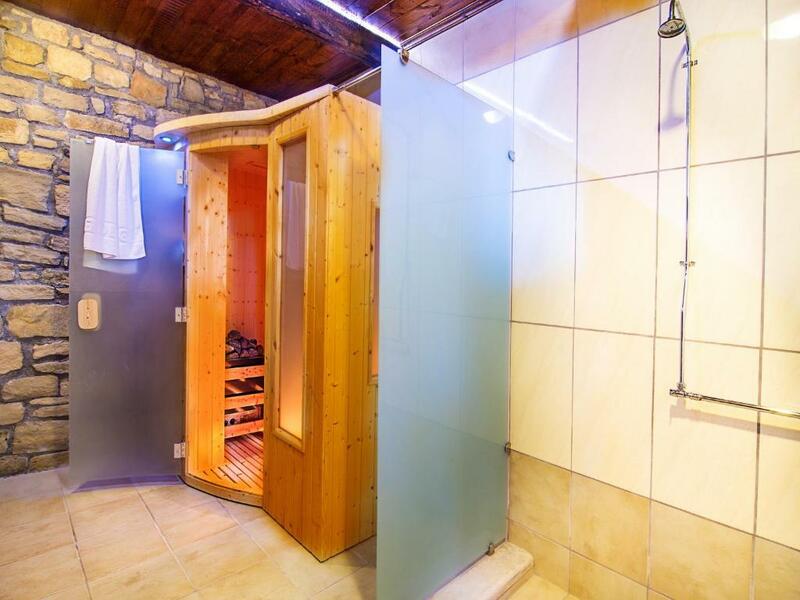 A sauna room is provided, while several massage treatments can be arranged at extra charge. Each villa has a private entrance and is surrounded by a Mediterranean garden with flowers and herbs. The swimming pool area is equipped with sun loungers and offers panoramic sea views. A shaded, dining area and BBQ facilities are available in the terrace. Falasarna Beach is awarded with a Blue Flag and is well-organized. Along the bay there are fish taverns and cafés. The town of Chania is at 28 mi and I. Daskalogiannis International Airport is 31 mi away. Free private parking is possible on site. When would you like to stay at Falasarna Villas? Traditionally decorated with stone details and wooden ceilings, this villa has a private pool, fireplace and free WiFi. It consists of 3 bedrooms, a fully equipped kitchen and living room. Extra features include a sauna room, a shaded, dining area and BBQ facilities. Guests will enjoy panoramic sea views from the furnished sun terrace, surrounded by a Mediterranean garden. 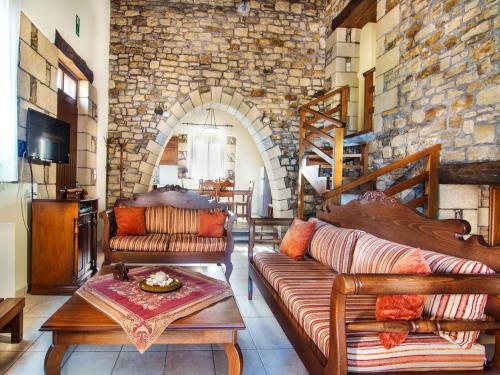 The owner of Falasarna Villas is the archaeologist Maria Mottaki. She is married with Vassilis Mitropoulos, who is responsible bookings. They have two children.Stella and Elias. The Falasarna Villas overlook the Gulf of Falasarna (4 Km away from the beach) and the unique sunset of western Crete. 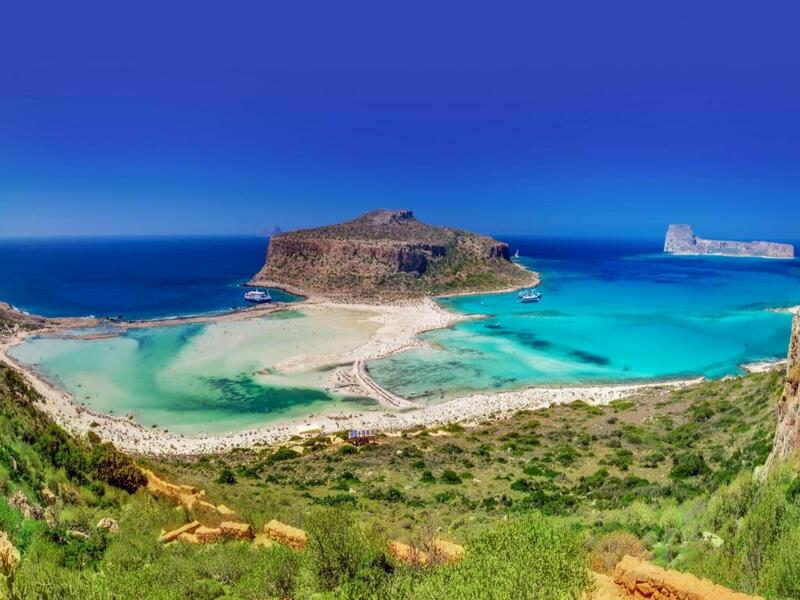 The famous lagoon of Balos is located approximately 10miles north of Falasarna Villas and 17km northwest of Kissamos, formed between the Cape Gramvousa and the small Cape Tigani and below the range of Platiskinos. Balos is surely the mostly photographed beach in Crete, a very favorite subject of all tourist guides for Greece Elafonisi is located 39km south of Falasarna Villas, in the southwesternmost point of Crete. Elafonisi is an oblong, which often "breaks" in two parts by water giving the impression of being a separate island. Elafonisi is a Natura 2000 protected area. The island is full of dunes with sand lilies and jupiners (like-cedars trees). The endangered turtles careta careta and several rare animals nest on the island and it is strictly forbidden to remove any plants, animals and sand from the area. House Rules Falasarna Villas takes special requests – add in the next step! Falasarna Villas accepts these cards and reserves the right to temporarily hold an amount prior to arrival. We've been here end of Oct... nights were cold and windy so we could only use AC to heat up the house, which is ok for short period but not good enough for longer stay at home or for bathrooms for example. No curtains in the shower make it difficult to keep surroundings dry. The entry drive was steep and awkward for our villa because we had a minibus, too large to do the hill and sharp turn right with ease. The other villa had an easier entrance however. The other villa had a better view of the sea. It was a three hour drive from Iraklion airport around mountains, scenic but long and impractical for seeing the archaelogical sites and museum. We wish we could have stayed longer!